We live in the age of globalization. There is no development without trade development and efficient Customs Services is important for efficient trade. I have worked with Customs Capacity Building, reform and modernization on all levels and in all parts of the world for the last 30 years, first in Swedish Customs and during the last decades internationally. As Director of Capacity Building of the World Customs Organization (WCO) from 2006 to 2010, I have visited more than 160 countries to study customs modernization and to initiate necessary customs capacity building projects. In the WCO, I lead the Columbus capacity building programme, the largest customs modernization initiative in history, aimed to support implementation of the WCO SAFE Framework and the WCO Revised Kyoto Convention. Under Columbus we initiated, supported and evaluated Customs Capacity Building projects in more than 120 countries. Together with my team we also initiated and implemented capacity building programmes like PICARD, the Experts's accreditation programme, the leadership development programme, e-learning, the donor platform, the language fund and the global dialogue on capacity building. These programmes were all designed to support successful implementation and application of inernational standards and modern Customs models like risk management, single window and AEO. These are experiences that are invaluable to me in my position as President of KGH Border Services. KGH Border Services is a Swedish customs capacity building company with almost 700 customs experts. We work with Governments all round the world, leading customs reform and modernization. This is a great leadership challenge for me in my personal development and leadership career, but it is also an opportunity for me to continue to work with customs capacity building on the ground, using my own experiences as well as the huge experience of my colleagues in the company to deliver sustainable results. As President of KGH Border Services, I lead a team of world class customs experts. We know what works and have a strong track record of leading and participating in successful customs development projects. We are the leading experts on Border Management, Single Windows and Authorized Economic Operator concepts. We also have huge in-house expertise and experience in areas like i.e. ICT & Technology (including system integration), Security, Trade Facilitation, One-Stop-Shop, Paperless Processes, Leadership & Management development, Organizational development and Risk Management. In addition, we conduct independent ICT Diagnosis, offer Result Based Management/Performance Management solutions and Customs Education, based on international standards and global best practices. If you are in need of advice and customs capacity building support, please do not hesitate to contact me. I will personally get back to you to explore potential cooperation. 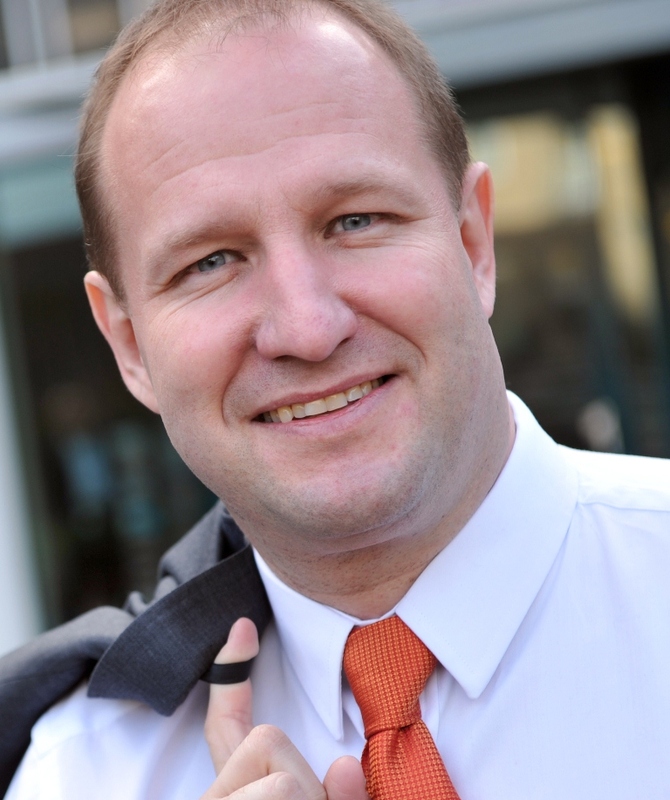 My longstanding career as top manager of Swedish Customs and internationally, have given me the experience needed to master Customs reform and together with the highly skilled and experienced experts in KGH Border Services, we can offer you sustainable solutions for your challenges. Together with our clients, we deliver results. I hope that we can change the world together with you. Some people say that implementation is a challenge. We say, it is what we do well. Together we are ready to build the future. Nothing is impossible! 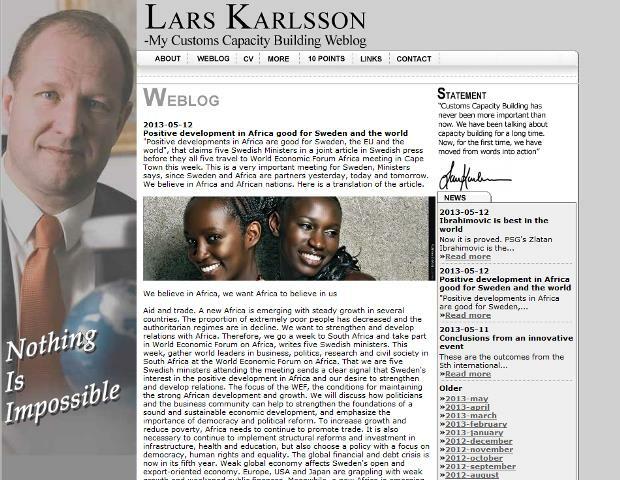 If you want to read more about the President’s views on capacity building, reform and modernization, technical assistance, development, sport, music and Zlatan Ibrahimovic – please visit the Lars Karlsson blog and Capacity Building website on www.larskarlsson.com.